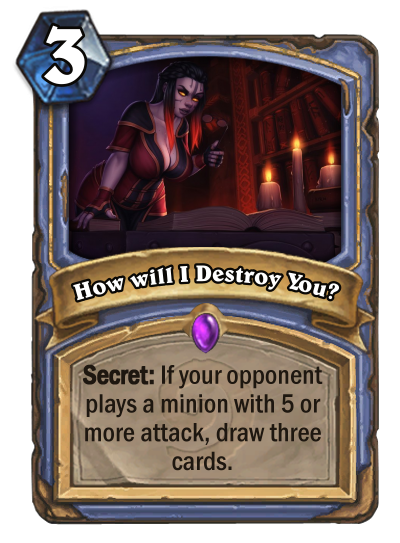 Sadistic Succubus makes sure cards like Flame Imp , Kobold Librarian or Spirit Bomb never become dead cards, even if you are low on Health. 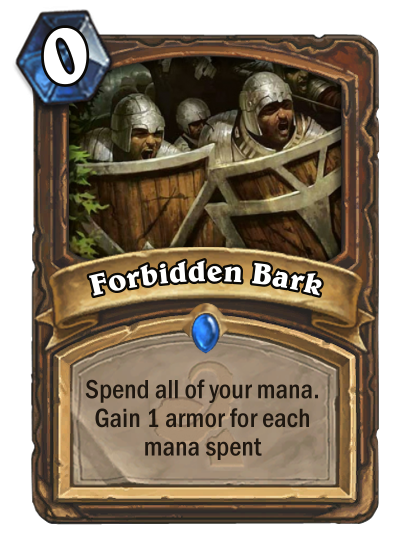 Heck, you could even run Pit Lord if you're feeling ballsy! 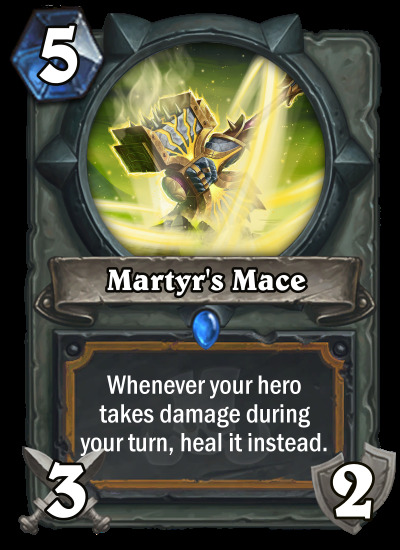 Martyr's Mace , on the other hand, is more of a standalone card that shines against high Attack minions. 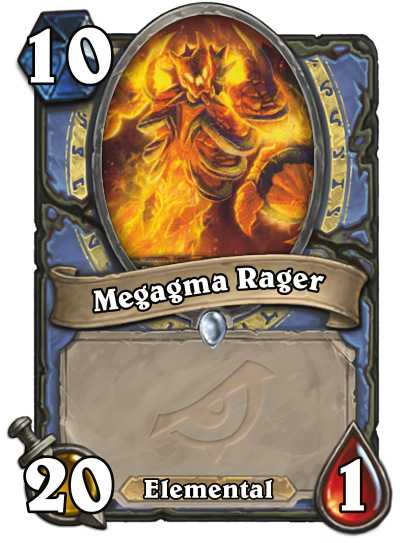 It also has nice synergy with neutral cards like Crystallizer . 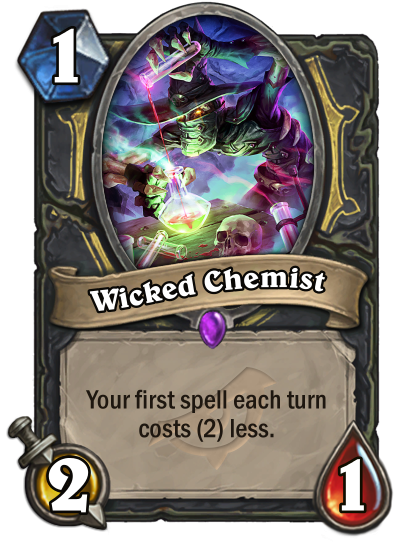 Keep in mind the broken combo with High Priest Thekal would not work, just like he doesn't work with Time Out! 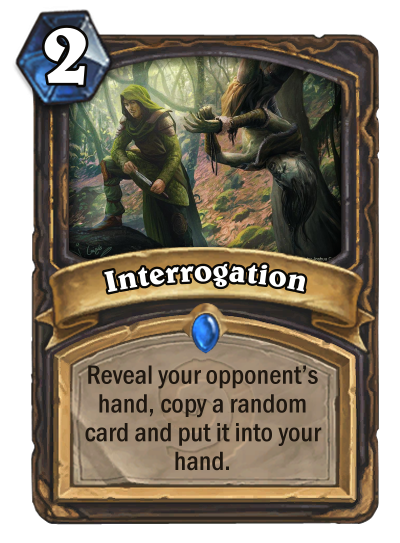 Both cards share the same pain-related theme, each within the class fantasy. 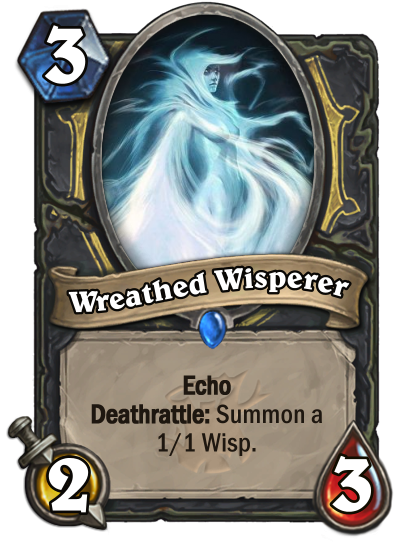 It whispers in voices of treachery, of sorrow, of fear. 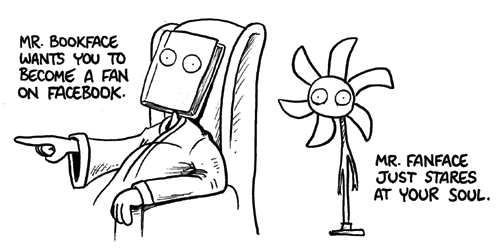 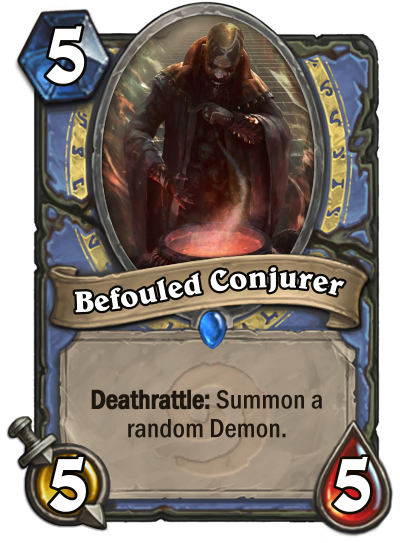 The faceless guy was busy. 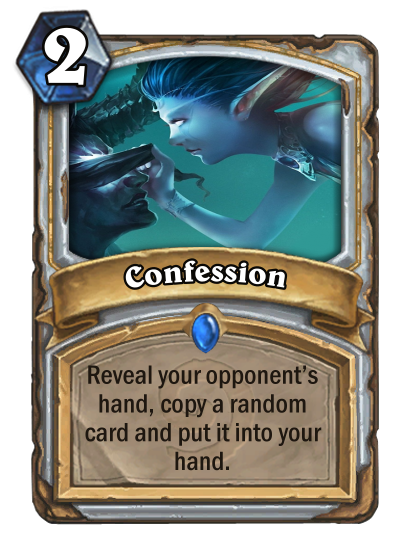 So you have me. 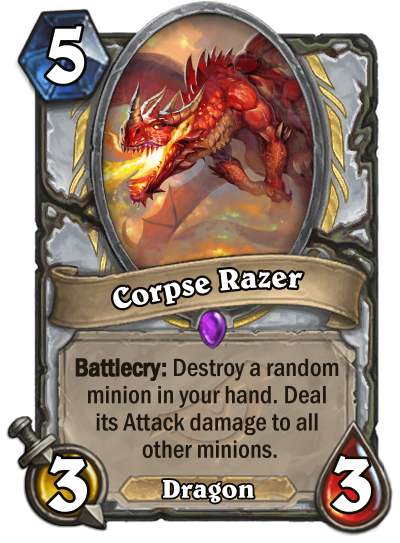 And of the great mysteries in Ben Brode's beard. 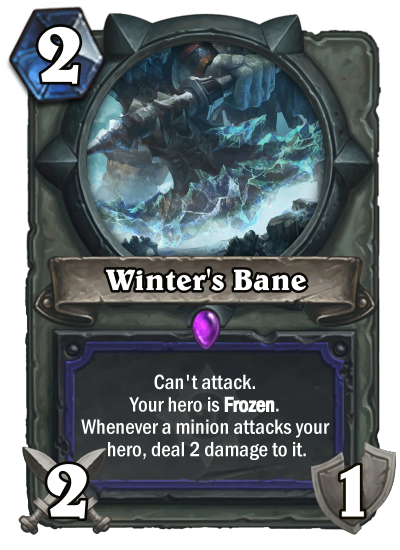 Another take on the shared freeze theme between Shaman and Mage. 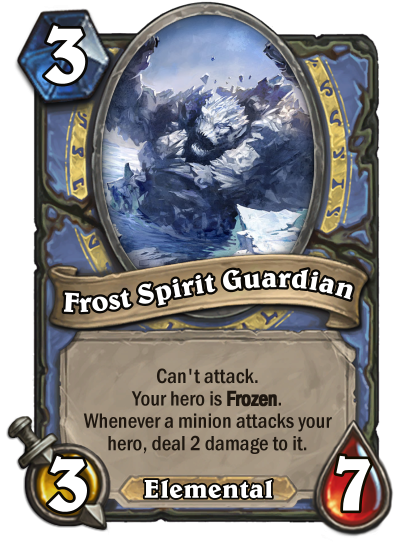 Freeze your hero so deeply, minions get frostbite from touching it. 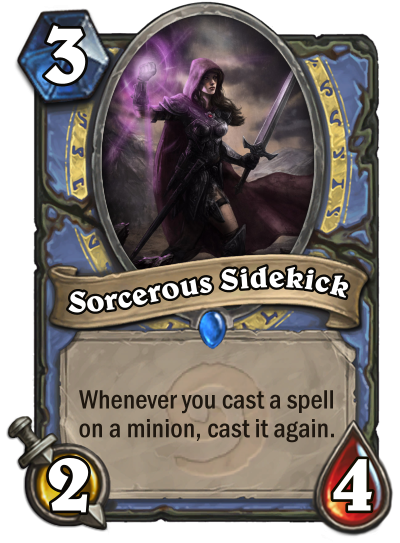 I tried to get creative and figure out how to make / balance a spell and a minion with the same rules text. 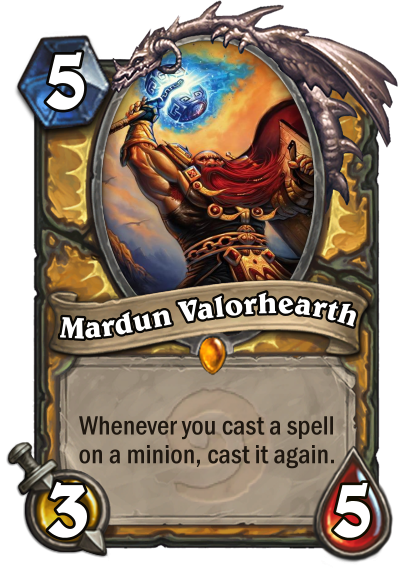 A delayed board clear and a big fat value minion. 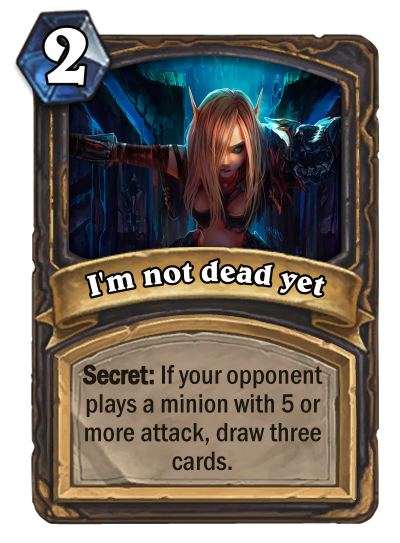 First try here, I hope you'll like them. 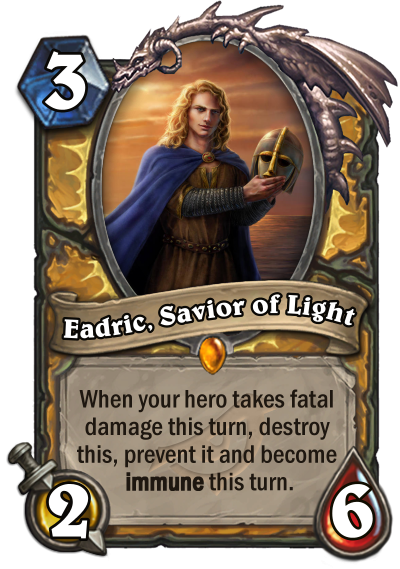 Both cards are quite interesting in their own regard, Eadric returns to serve as a decent early game drop in a controlling Paladin deck, whilst operating as an extra thing to be killed in the late game. 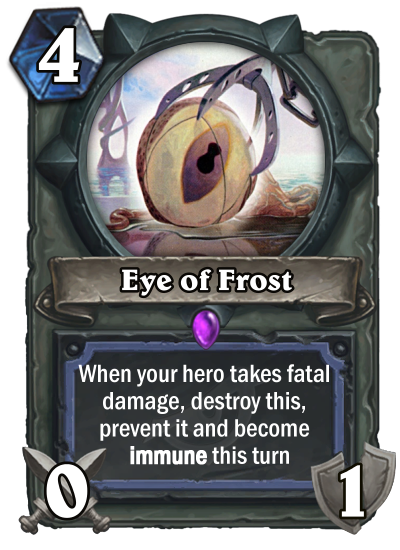 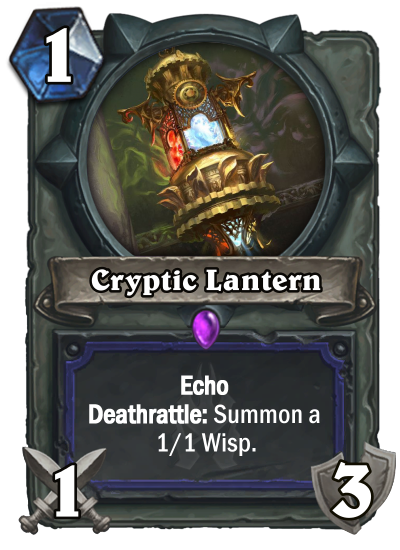 Eye of frost is a fixed version of Ice Block, as it costs 4 and dies to any sort of weapon removal. 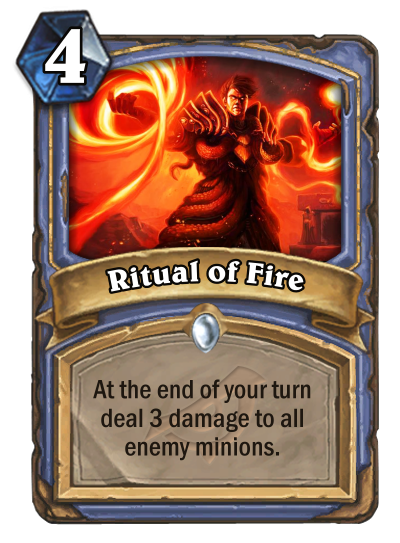 Two cards with the same effect. 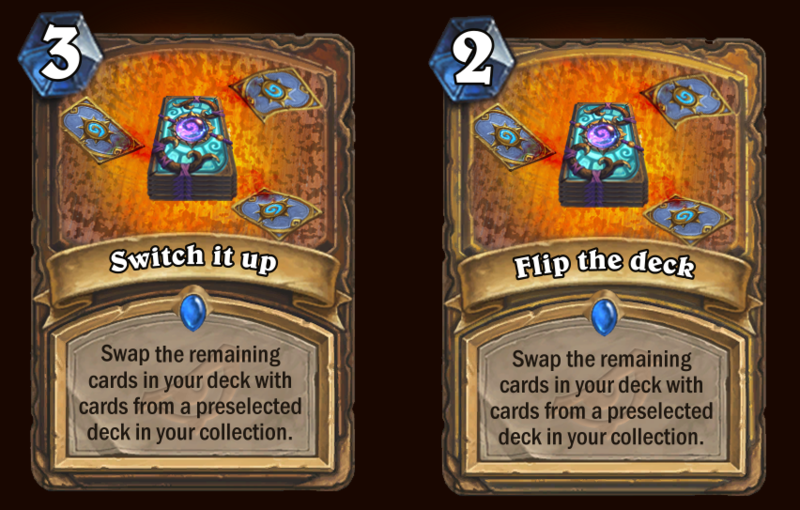 The difference between them is that the Rogue one is a tempo card, while the Druid one is for ramp or token decks. 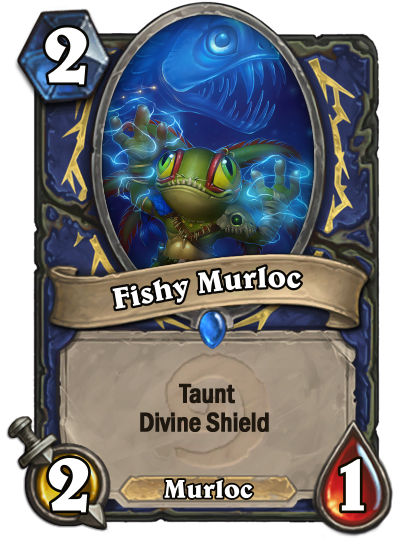 Fishy murloc: Divine shield kinda fit in murloc (is like murky's Safety Bubble) and in shaman (because there is 1 precedent: al'akir). 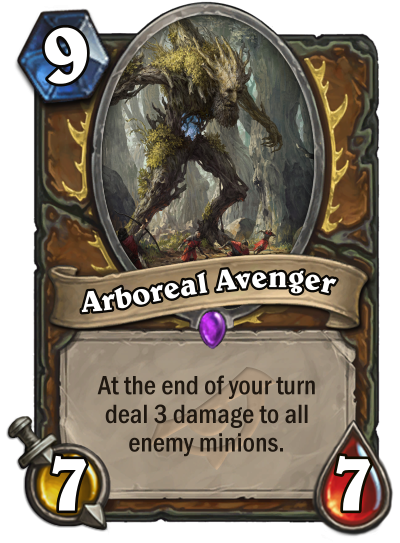 Basically a fishy annoyatron: a strong card for a weak archetype (atm). 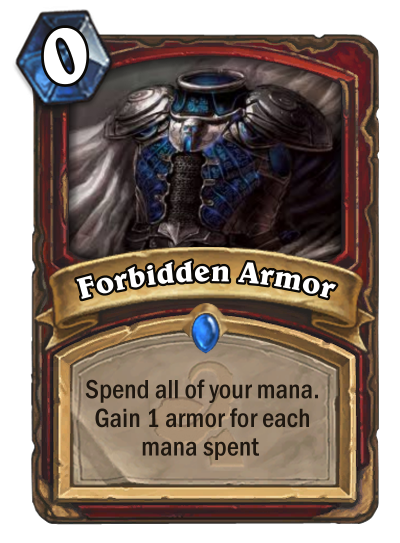 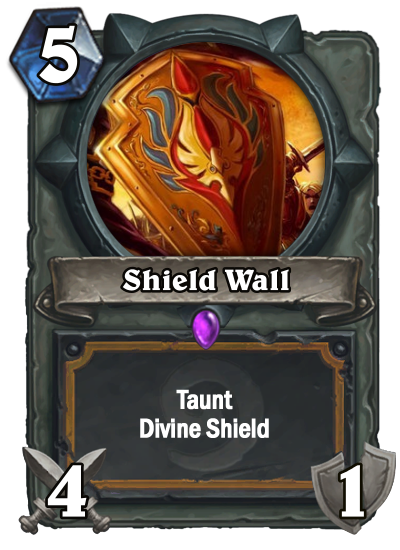 Shield Wall: The hero gets taunt and divine shield, so you need to hit the hero before the minions (like one boss on adventure and in one tavern brawl) and the hero ignore the next damage it receives. 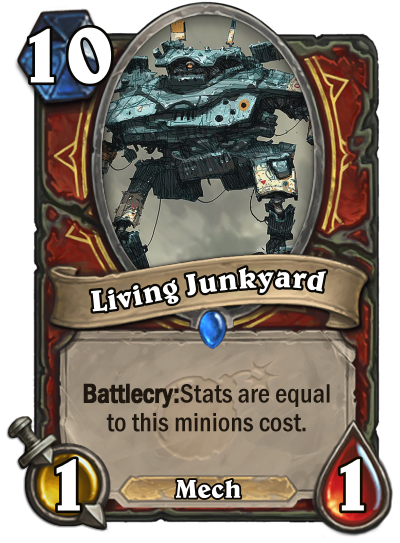 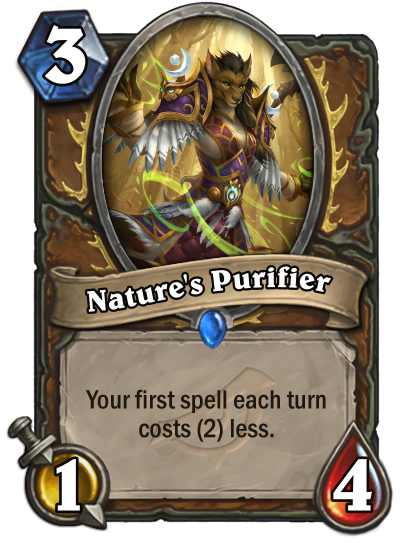 It's balanced at 5 mana with fairy bad stat because you can find more often aoe cards to clean the board without having a specific weapon removal. 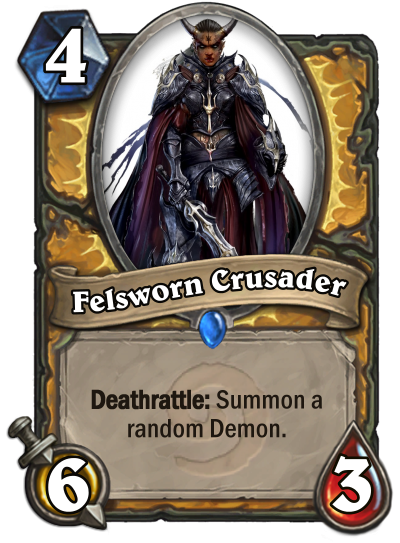 Paladin's aggro decks often use weapons to hit the opponents face and this card doesn't help him too much. 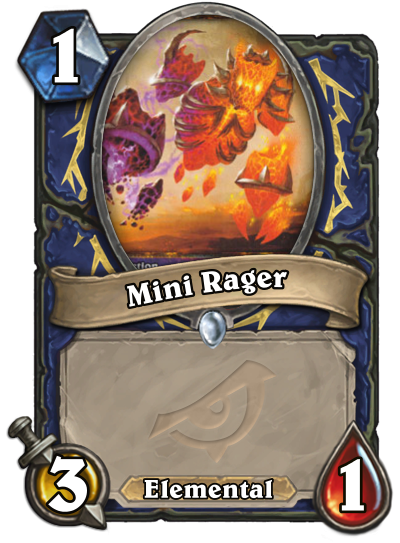 Public Mod Note (linkblade91) : Under Review: The lack of text is fine, but the Neutral card is not allowed. 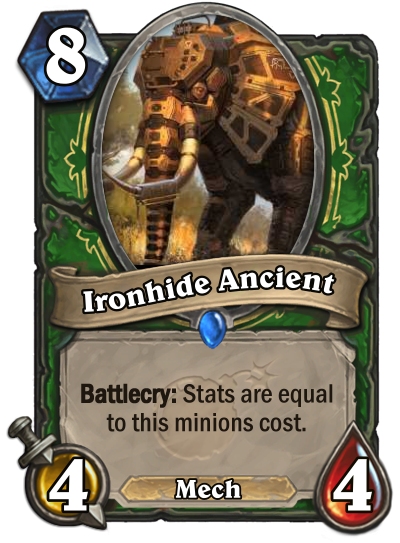 Public Mod Note (linkblade91): Under Review: The lack of text is fine, but the Neutral card is not allowed. 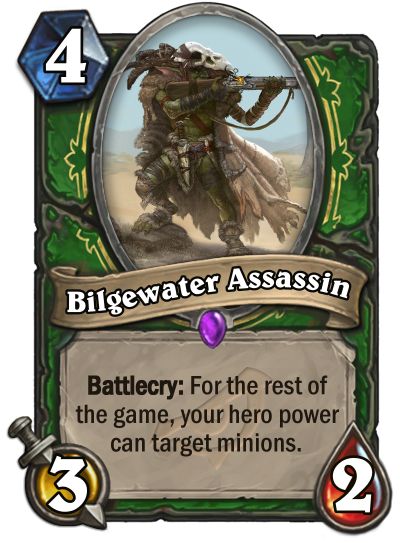 Flavor Text: Honestly, bilgewater isn't that hard to assassinate, it just kinda sloshes around. 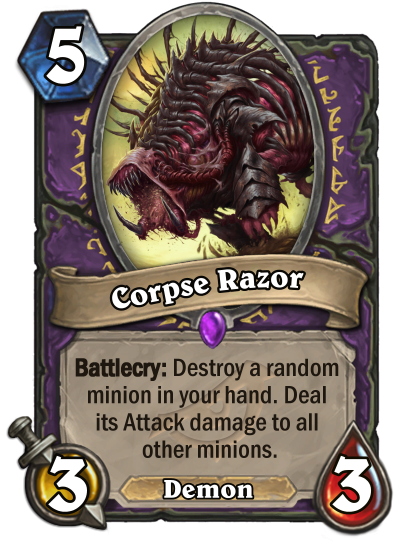 Flavor Text: Rotclaw is actually a serious condition common among worgen warlocks. 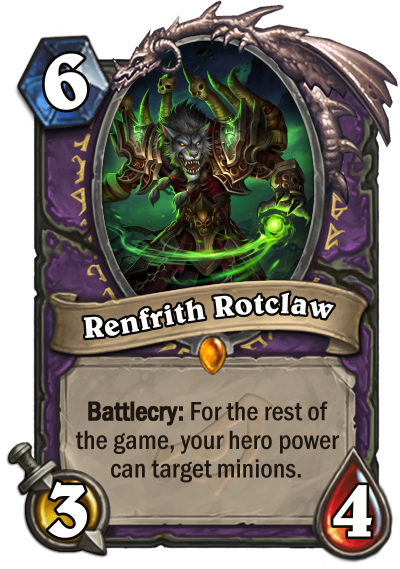 Renfrith is just a big advocate for its awareness.